Treviso(Italy),February 3, 2015.VillorbaCorse is pleased to officially announce that it will join the LMP3category in the 2015 EuropeanLe Mans Serieswith the new Ginetta-Nissanprototype. The team has signed a deal with Italian drivers RobertoLacorteand Giorgio Sernagiotto.Their 2015 ELMS entry represents the first step of a racing programmecalled “Roadto Le Mans”which aims to a future participation in the Le Mans 24 Hours.Conceived by Lacorte, founderand CEO of the Pharmanutragroup, the project involves Villorba Corse andPharmanutra with one of its brand. Their partnership will ensurethat, for their own racing programme, the team will berenamed as CetilarVillorba Corse. Lacorteand Sernagiotto, who is a very experienced driver (among his winsthere is the 2009 Ferrari Challenge/Trofeo Pirelli title), have beenracing togethersince 2012,first in the Italian Touring Endurance Championship then in the VdeVEndurance Series to increase prototype driving skills andexperiences. Sernagiottoadded; “Iam aware that it [ELMS] will not be an easy job because of the highlevel of competition and the short time for the delivery of the car,but I'm over the moon about this development of my career. I alwaysdreamed about Sport Prototype cars and thanks to Cetilar VillorbaCorse and my teammate this dream is about to come true! However, wehave to work hard, then, if we deserve them, results will come”. Tothe team it is like a comeback to an oldpassion:prototypes and great endurance racing. To be ready for the 2015 ELMSCetilar Villorba Corse has purchased a Ginetta-NissanLMP3.Built by the British car manufacturer for the brand new LMP3 class,this car incorporates all the safety requirements demanded by the ACOand FIA and it will be powered by a Nissan V8enginecapable of 500bhp with an Xtrac6-speedsequential gearbox. 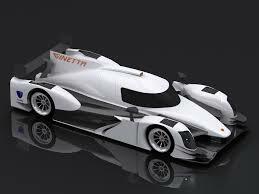 LawrenceTomlinson,Chairman at Ginetta Cars said; “TheACO have hit the mark with LMP3. The category is developing veryquickly, and it’s great to see the Ginetta-Nissan at the forefrontof this. The class is attracting high profile teams and it is aprivilege to be able to welcome Villorba Corse, one of GT racing’smost successful teams, into the Ginetta fold”. Alongsidetheir GT “Racing with Ferrari” programmes, this LMP3/Enduranceproject with Cetilar Villorba Corse represents another challengingcommitment to the Italian squad led by Raimondo Amadio.The team has already increaseditsmotorsport horizons but keeps on planning newbusiness joining forces with international excellences and focusing onvery demanding target. “Thisprototype programme -said Amadio, Team Principal -bringsgreat motivation inside our whole structure. It represents a firmstep towards consolidation and diversification of our sportingactivities. I'm happy to start from a brand new category such as LMP3which I believe is perfect to start a process that will see us racingin the most important endurance events also with Sport Prototypecars. To take part in the 'Road to Le Mans' project alongside sodetermined people and companies represents a further incentive to dowell”. EuropeanLe Mans Series calendar:23-24mar. Official Test Days at Le Castellet (FRA);10-11 apr. Silverstone(GBR);16-17 may Imola(ITA); 11-12 july Zeltweg(AUT); 5-6 sept. LeCastellet(FRA); 17-18 oct. Estoril(POR).